In bullish news for crypto enthusiasts and traders alike, two major announcements took place in recent days; both of which involve globally recognisable enterprises. Indeed, both TMX Group Limited and Yahoo Japan have decided to become involved in the burgeoning cryptocurrency brokerage and trading platform space; serving as yet another example of influential external enterprises viewing blockchain technology and cryptocurrency as a disruptive force, which, by no means is a passing fad. Coming firstly on Thursday, TMX Group Limited, along with Paycase Financial, announced that they had partnered with the intent to launch a new crypto brokerage service, the Shorcan Digital Currency Network (Shorcan DCN), as well as related data products. TMX Group is a Canadian-based financial services company which actively participate in equities, fixed income, derivatives, and energy markets exchange. Whilst being responsible for operating several exchanges, the most notable is the Toronto Stock Exchange (TSX). Listing over 2,200 companies with a collective market cap of ~$2.3 trillion is enough to see the TSX rank as the world’s ninth largest exchange. Unsurprisingly, Bitcoin (BTC) and Ethereum (ETH) will be the first order of business for Shorcan DCN, given they do account for roughly 60 percent of the entire cryptocurrency market cap, according to data from CoinMarketCap. Whilst we’ve seen certain bourses apply blockchain technology in recent times, such as the ASX in December, this particular partnership between TMX Group and Paycase Financial would see Shorcan DCN become the first ever public cryptocurrency brokerage desk by a major exchange. This pioneering cryptocurrency initiative is set to be available with full services some time in Q2 2018. For those wishing to stay as up-to-date as possible regarding the developments of Shorcan DCN, join their mailing list. 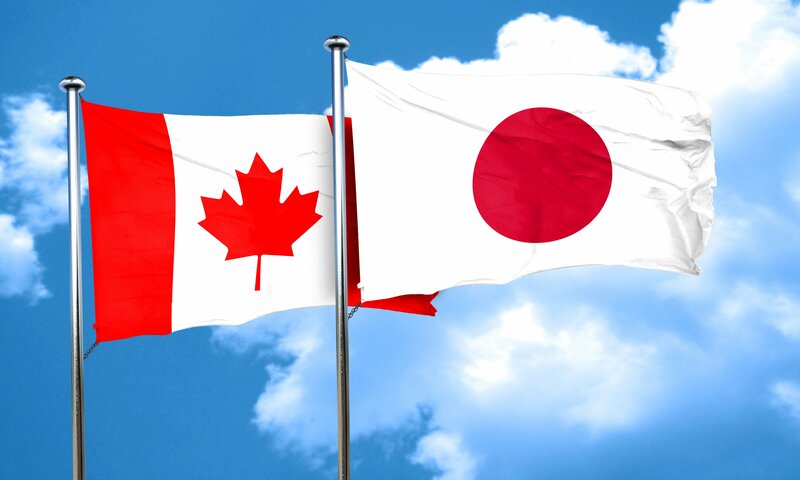 Following the news out of Canada, the Nikkei Asian Review reported on Friday that Yahoo Japan – pending FSA (i.e., a Japanese financial regulator) approval – is set to acquire 40 percent of operator BitARG Exchange Tokyo, before launching “a full-blown exchange in April 2019 or later” that despite being built from scratch (starting in April), will be based on BitARG’s extant system. YJFX, a wholly owned Yahoo Japan subsidiary, will be the party responsible for purchasing the 40 percent stake in BitARG sometime next month. The cost is expected to be somewhere around 2 billion yen (~US$19 million).